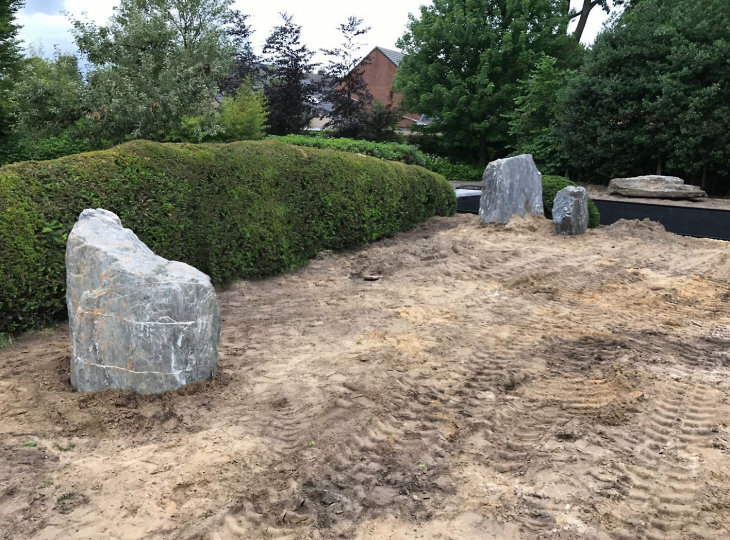 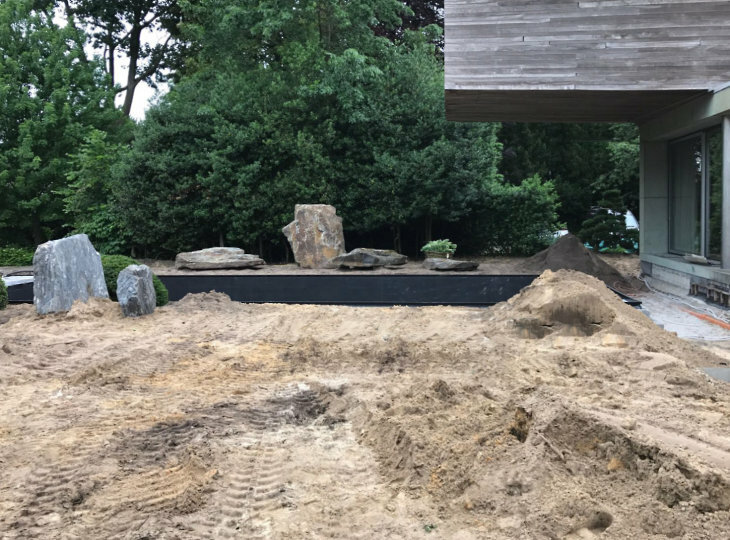 A project in Loenhout, Belgium. 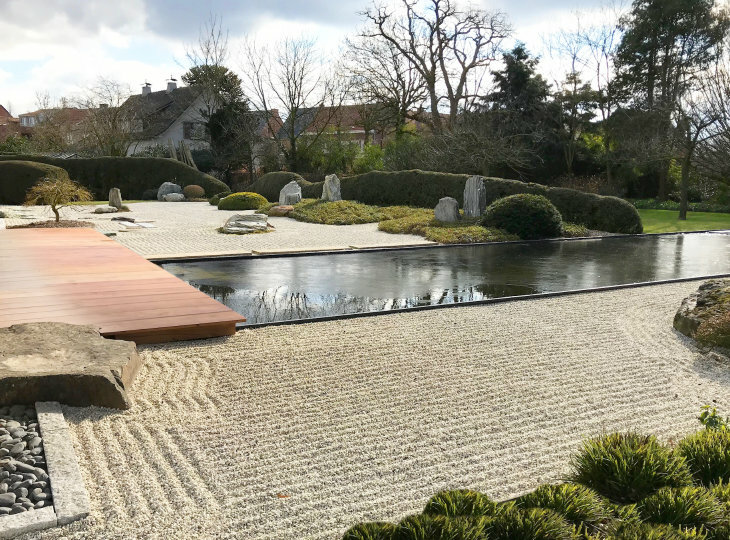 A fairly spacious garden with a number of Japanese influences and a rectangular pond. 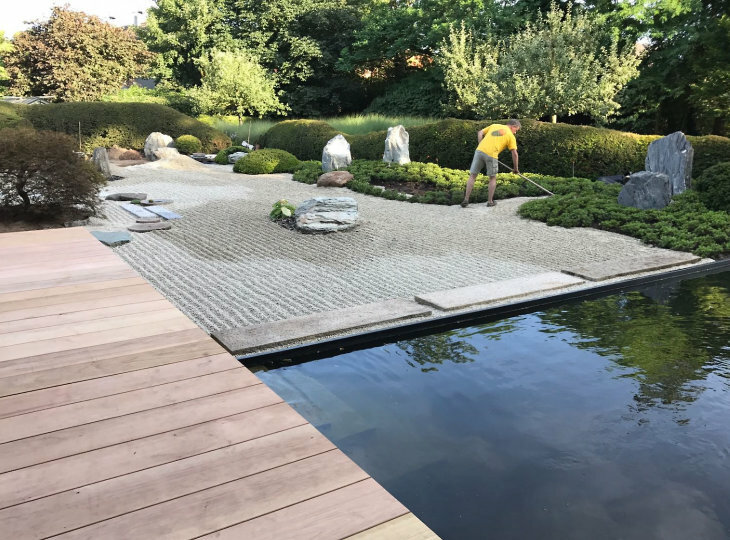 The pond was renovated into a swimming pond with a biological filter. 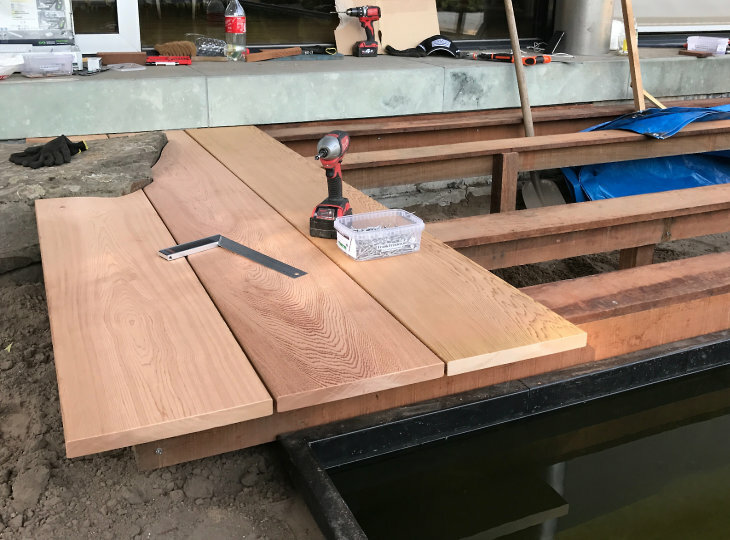 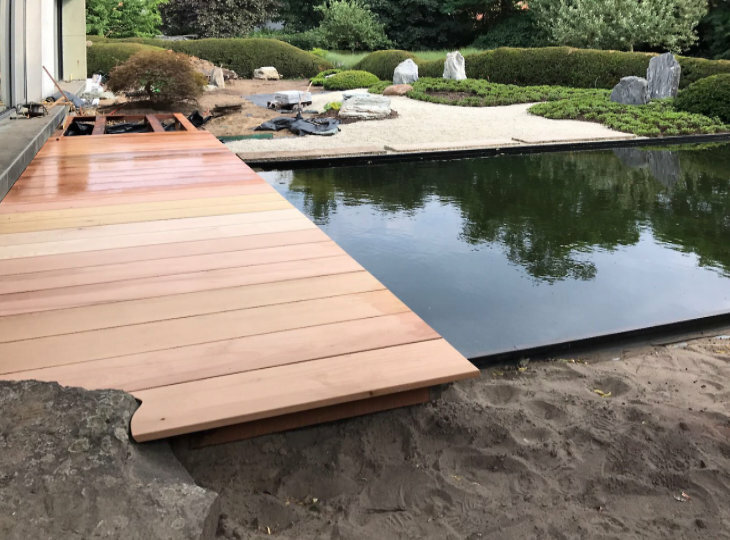 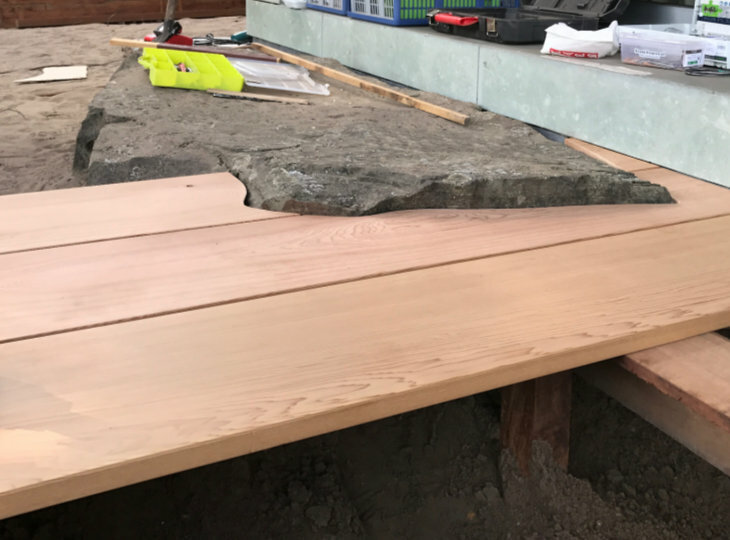 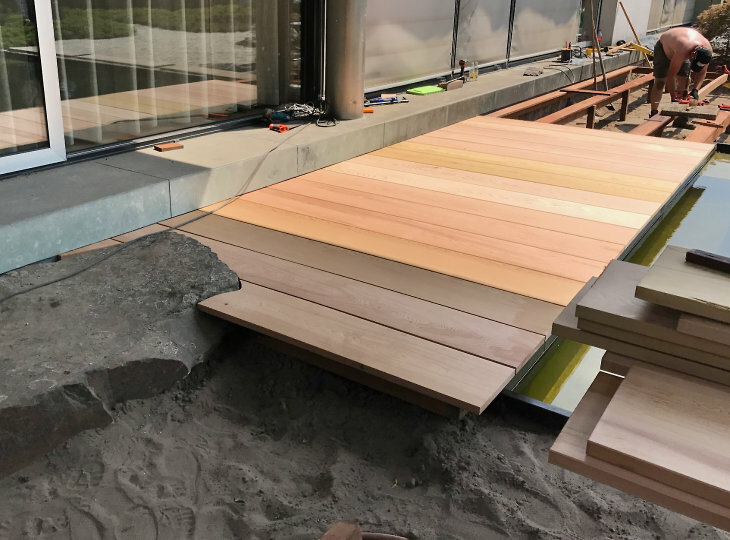 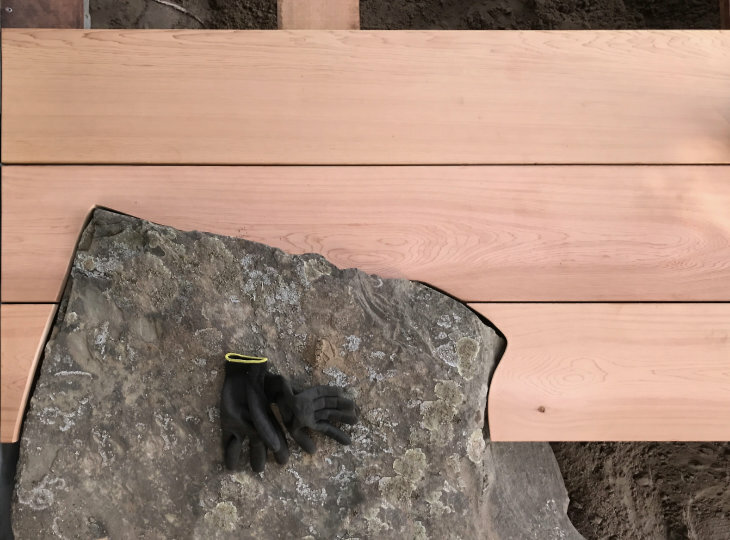 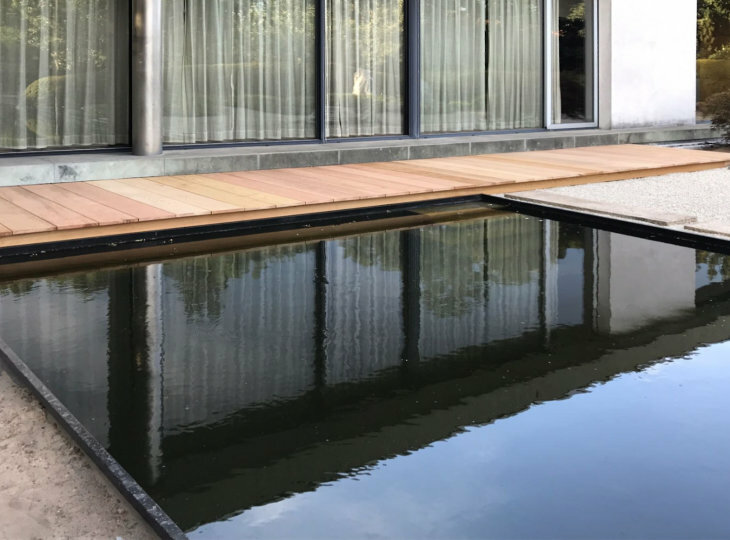 Yokoso built a Western Red Cedar terrace spanning the pond in which a large 'Kutsu-nugi-ishi', or shoe removing stone was incorporated. 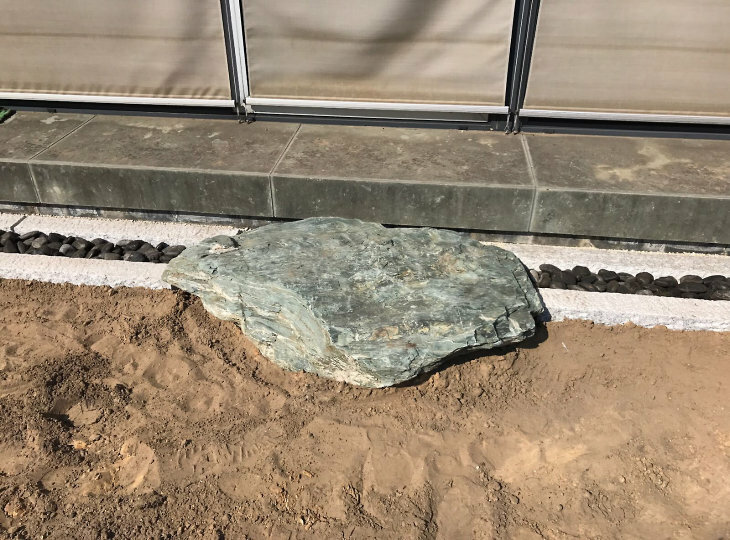 The stone is embedded into the terrace and forms the connection to the garden to the right of the swimming pond. 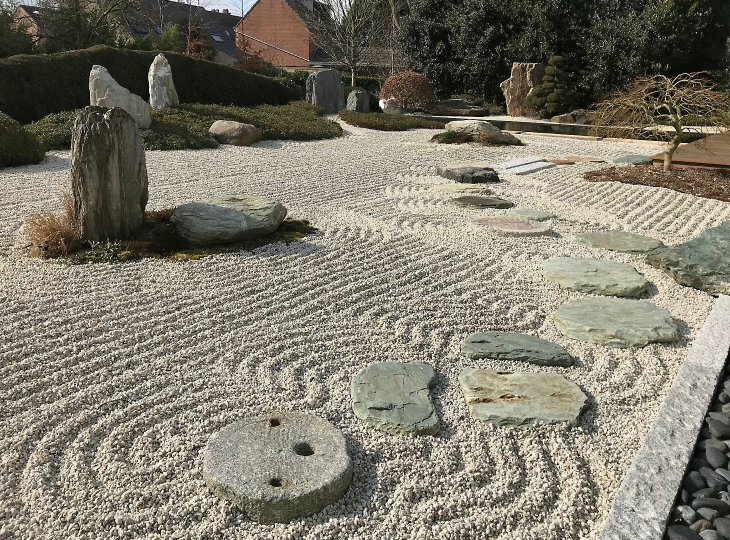 Most of the garden on the left side of the pond was transformed into a zen garden. 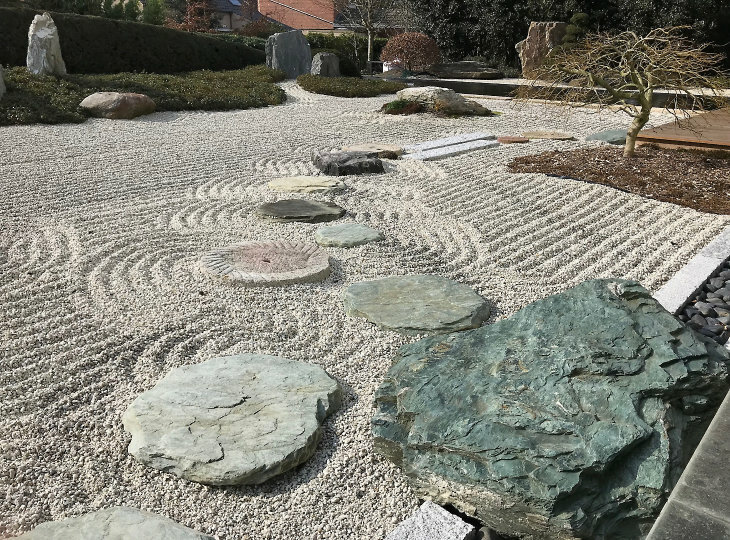 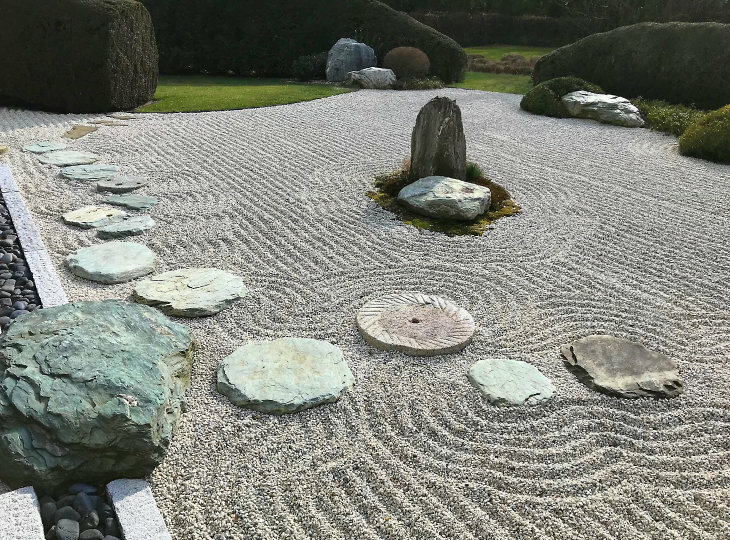 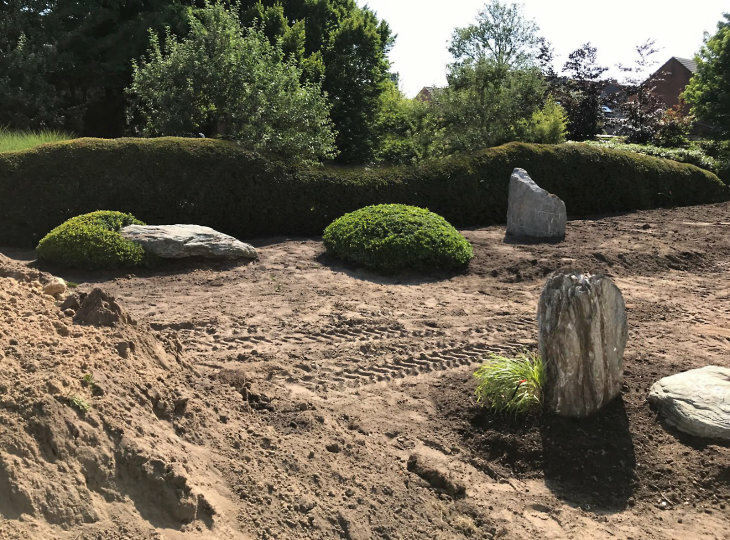 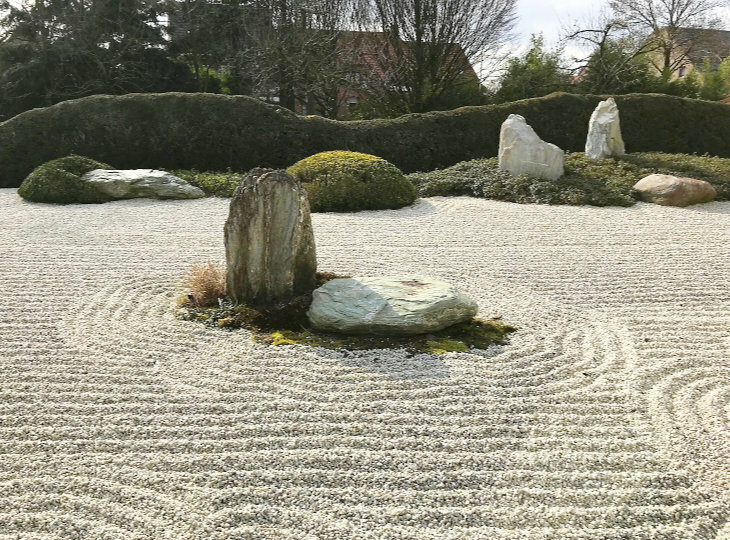 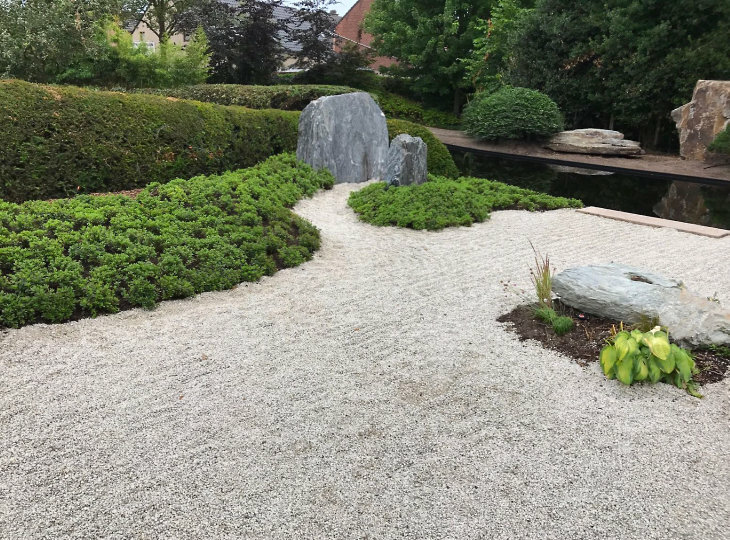 In this zen garden a number of rock formations and solitary rocks are placed. 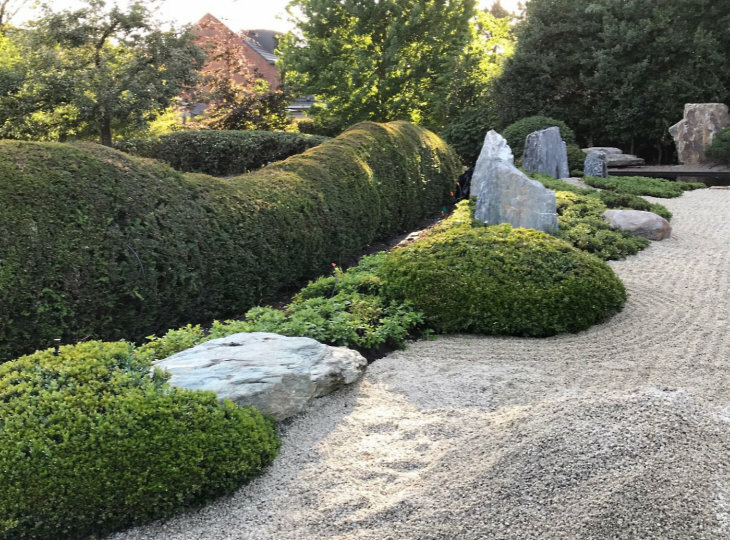 The existing yew hedge forms a beautiful backdrop and has been maintained. 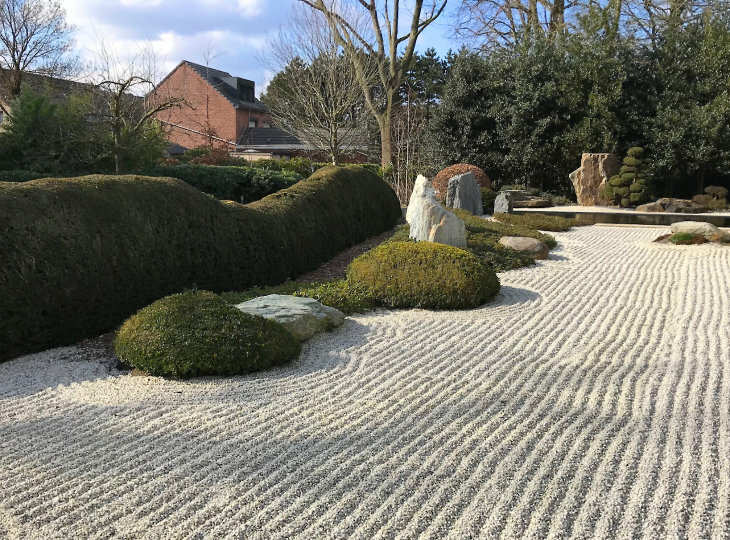 The Japanese 'Satsuki' or Azaleas have been used as ground cover, creating a rolling, colorful landscape in the spring. 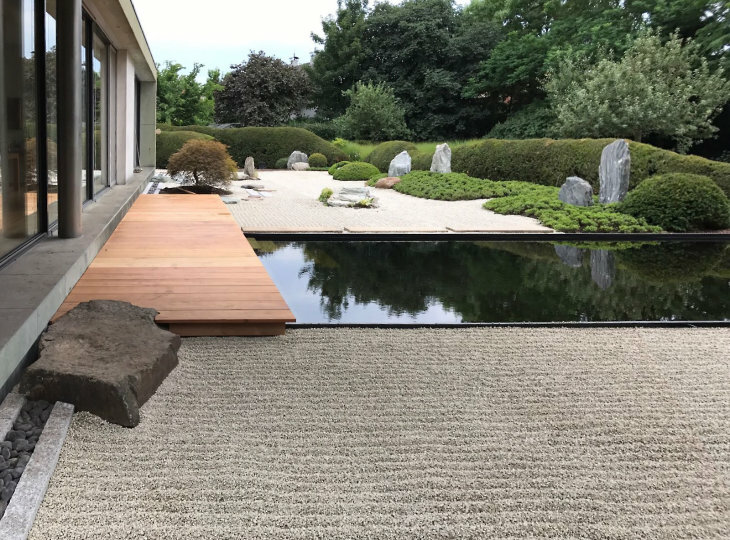 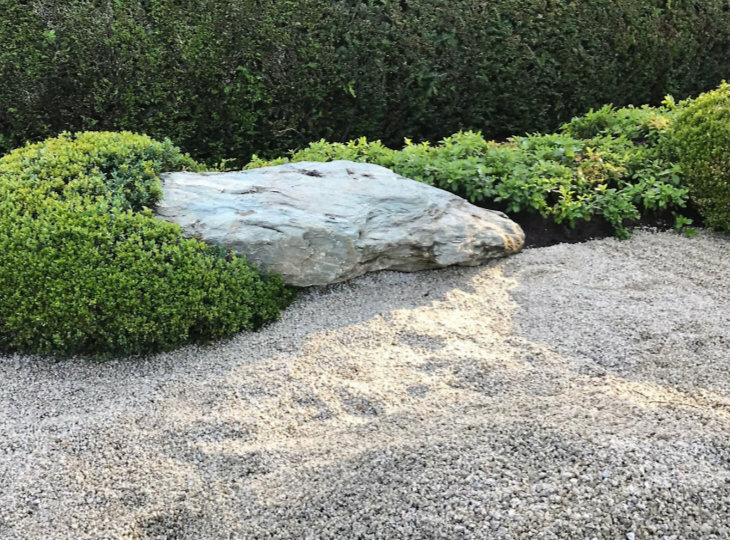 The gravel consists of the beautiful authentic Shirakawa gravel which is also used in the Zen gardens in Japan. 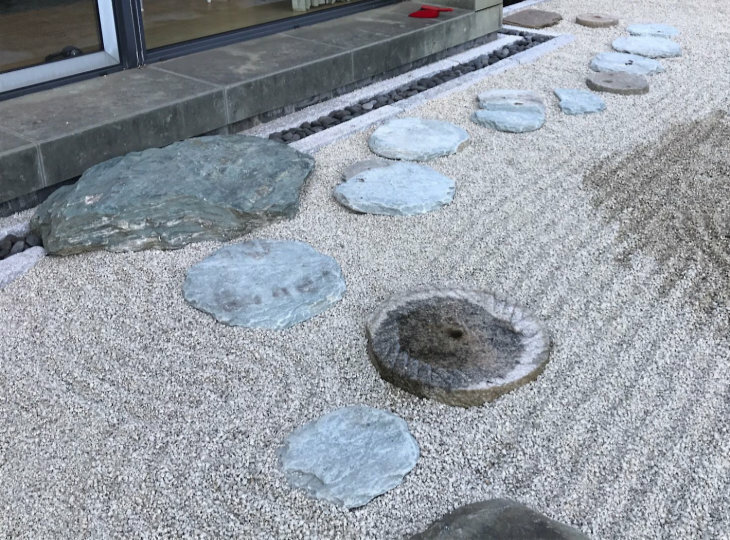 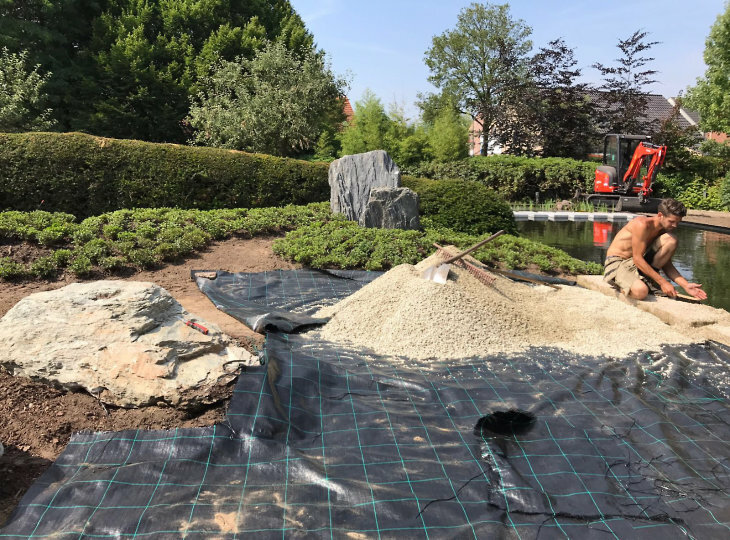 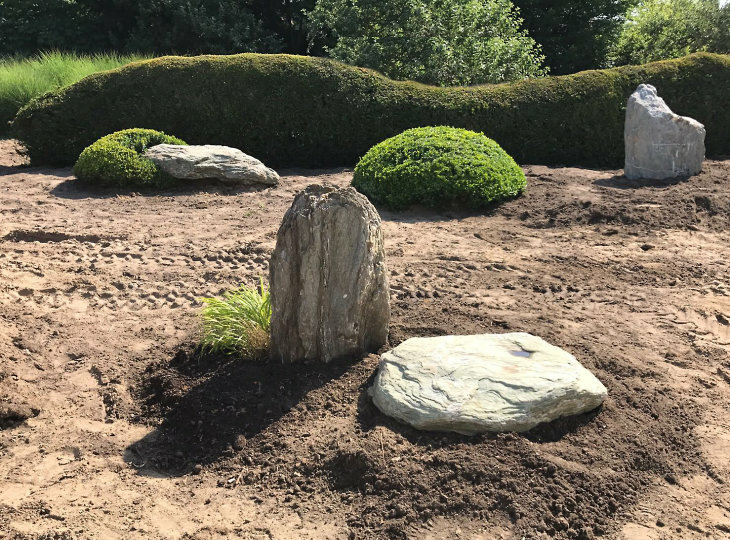 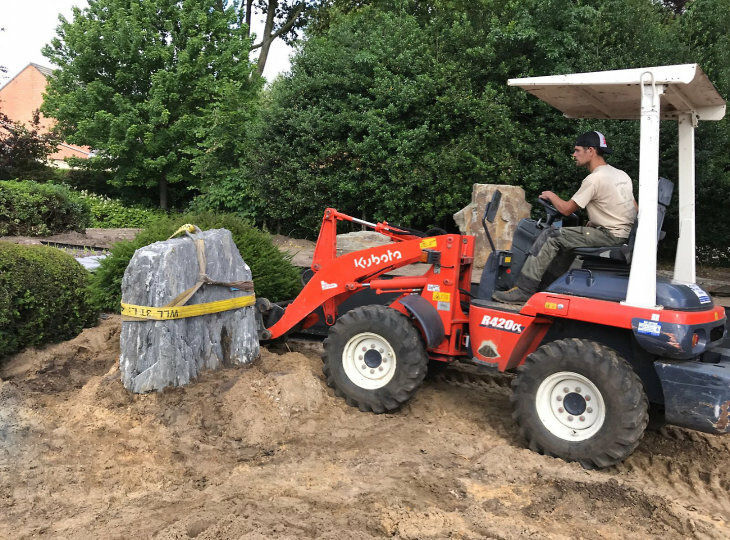 In the gravel a path has been created by means of a combination of antique millstones, stepping stones and granite slabs.